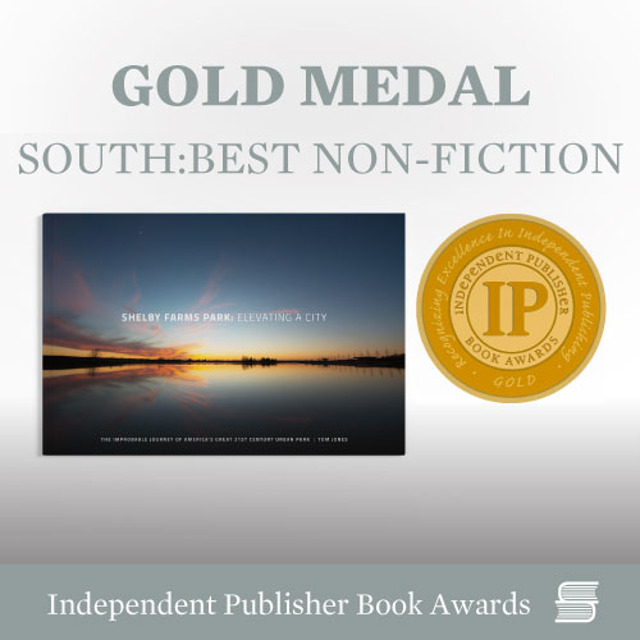 Shelby Farms Park: Elevating a City was nominated for an Independent Publisher Book Award (IPPY) and received GOLD status in the “South - Best Regional Non-fiction” category! The IPPY awards, also known as the “World’s Largest Book Award Contest,” honor the year’s best independently published titles from around the world. This year’s contest drew over 4,300 entries, so we are very honored to have earned this national recognition!